This recipe is from one of my new cookbooks, the Barefoot Contessa. It’s simple and delicious and makes a great side for many, many things. In case you’re like I was and think you hate Brussels sprouts because the only ones you had growing up came out of a freezer, it’s worth giving them another try. 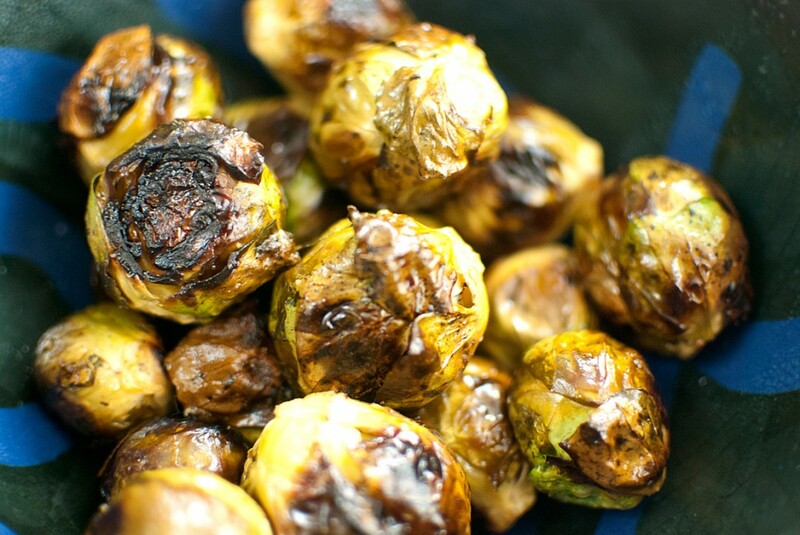 Fresh Brussels sprouts are a whole different animal and are good simply boiled in salted water and served with butter and salt, or roasted as in the following recipe. -Cut off the end of the Brussels sprouts and pull of any yellow outer leaves. Mix them in a bowl with the other ingredients and turn them onto a baking sheet. Roast for 35-40 minutes, until crisp and slightly brown on the outside and tender inside. Shake the pan occasionally as these are roasting to help them brown evenly. Taste and sprinkle with more salt if desired. Serve hot.